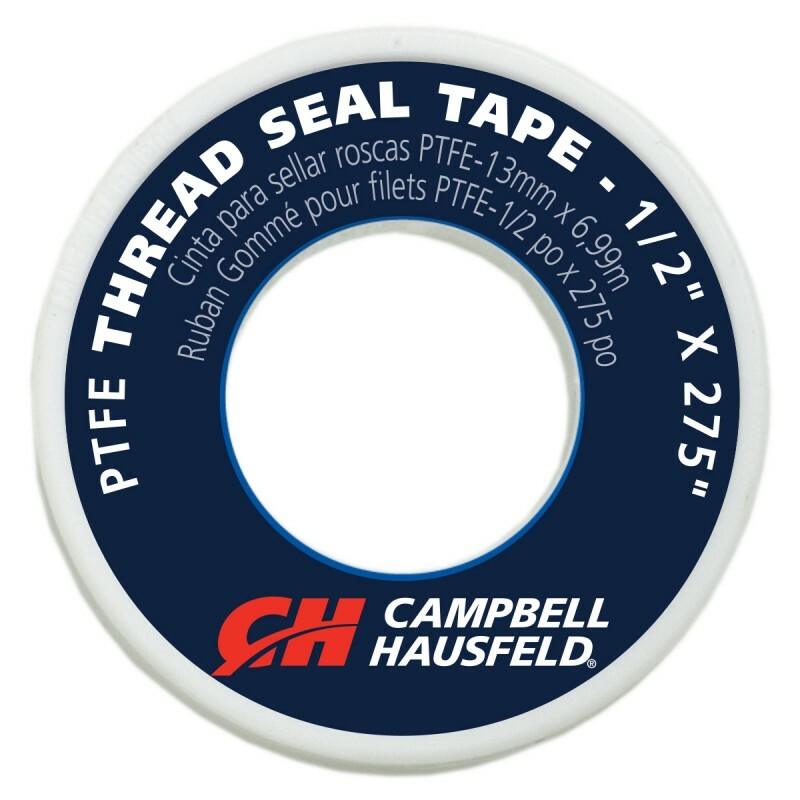 Campbell Hausfeld PTFE tape (MP513600AV) can be used on all male threaded connections to prevent air leaks. Thicker and denser than many other types of PTFE tape, Campbell Hausfeld PTFE can provide better sealing and is easy use. This 1/2-inch wide tape comes in a 275-inch long roll.